By now this subject has reached all levels of sensitivity as more and more facts have rolled out about laws broken and who is to blame and how much was lost in terms of financial and reputational capital. I had to wait to learn more before writing this post but let me recap for those who haven’t been in the loop. In sum, United Airlines overbooked their flight and when they didn’t get enough volunteers to give up their seat, one man, a Dr. David Dao was asked to give up his seat, Dr. Dao refused, he was beaten by law enforcement and dragged off the plane. Horrible, I know and an even more horrible experience for Dr. Dao. Even though the scene is very upsetting, I got some facts that helped cool my jets a little and shift my own blame game from United Airlines to the police. After watching an episode of The Machel Show with special guest and pilot, Parham, I got enough clarity to rethink my position on the whole situation. So in short, the decision to use force was on the part of the police so that’s where most of my frustration over the matter comes from, but did United have to call in law enforcement or should they have taken other measures to handle the situation themselves? Or should they have at least tried to stop the police from hurting their client? 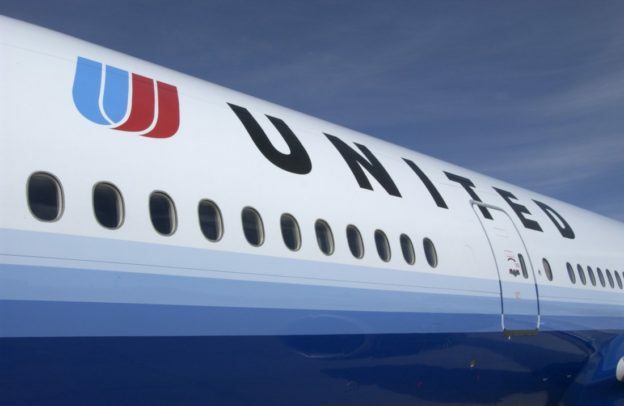 Before any of this should have taken place, I have a completely radical idea, that may have still taken a bite out of United’s funds and reputation, but certainly not as much as almost a billion dollars and the severe damage to their livelihood. In the case of overbooking, I would have asked ALL passengers to get off the plane due to unforeseen circumstances, but still follow it up with the good news that another flight will be ready to go in 20-30 minutes and that they should wait in the waiting area to be called. Then, they could have proceeded to call each passenger up and ask if they would be willing to give up their seat for triple what they paid. If they got no bites by time they get down to the last four passengers, then they could let those last four know that they will have to take another flight and they will be compensated. It would have still caused an uproar, but it certainly would not have cost nearly a billion dollars. State the facts: Police brutality is to blame here folks. Whoever is responsible for giving the order to use force when necessary is the one to blame. If that was you United, then you were right to apologize, but if it was not, then apologizing immediately makes you guilty. Support anti-police brutality groups: I don’t believe United has a policy to use force when necessary, so the the fact that the police got violent is a violation of their beliefs/values and they should take a stance that a passenger being violated is like United being violated and they won’t stand for it. Do what’s expected: At this point, United already apologized which means they accept the blame and so the world is waiting to see what kind of compensation will be given to Dr. Dao. Even though they may not be entirely to blame, they still need to play their part in resolving the issue with their client. Be transparent: United will need to be very open about all steps being taken to rectify this situation and prevent it from occurring again. Don’t be afraid to get drastic: Maybe scrap the whole idea of overbooking. It serves the airline well, but the customer is more important. All the money they may have gained or saved by overbooking is now going down the stock market drain. Focus on the positive: All communication going forward should highlight United’s years of exceptional service. What philanthropic initiatives are they involved in? what community activities do their employees participate in, etc. Yes, it’s deflecting, but combined with transparency about what happened and what’s going on, will make it seem less suspicious. Take PR more seriously: I know from experience that the good advice from PR & Communications professionals is often overlooked, but in most cases, when your PR person brings up an issue, it deserves consideration because we represent the thoughts and concerns of the public and brushing off our concerns is equivalent to brushing off the concerns of the people. Be patient: Recovering from this is going to take some time United. The meme’s and tweets alone will go down in history as some of the most hilarious clap backs on social media. Overall, I know how difficult it is as a company to always make the right decision and do the right thing. You can’t please everybody and in trying to do so, somebody always ends up displeased. It’s worth it to take a long hard look at policies and procedures and strongly consider the odds. Sometimes the things you think very rarely if ever happen, end up happening and that is the worst time to try to figure out a solution.